Bizarrely enough when I was younger I wasn’t anywhere near as interested by history as I am now and I hear that quite a lot from adults I know (probably growing up and staritng to get a sense of your own mortality has a lot to do with it! ); but the one thing I do remember absolutely loving learning about in school was the Tudors. Henry VIII and his six wives fascinated me: all that greedy guzzling at banquets, heads being chopped off left, right and centre and stuck on London bridges for the publics viewing pleasure, the fashion, the scandals…..I loved it all. 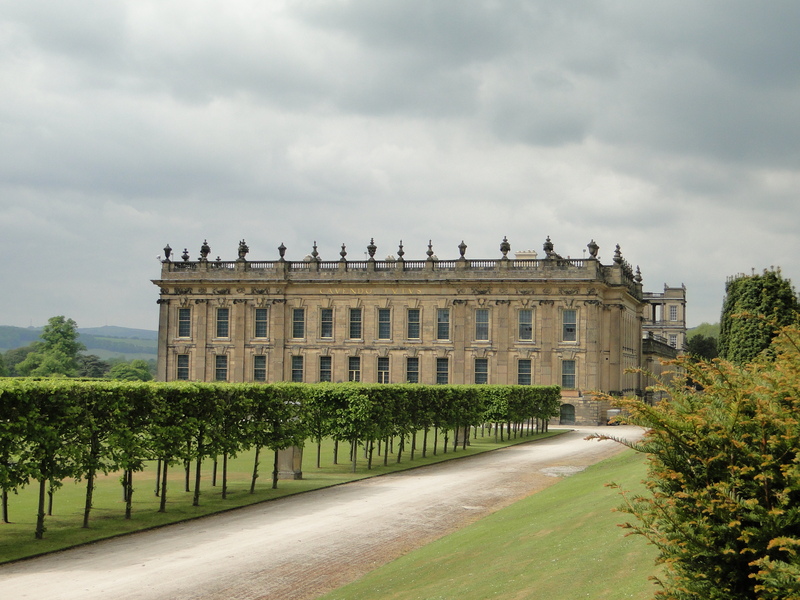 A couple of weekends ago, Mr Whisperer and I went for a day out at Chatsworth House in Derbyshire as I love the huge grounds there and there are gorgoues gardens, cute gift shops and yummy tea and cakes! 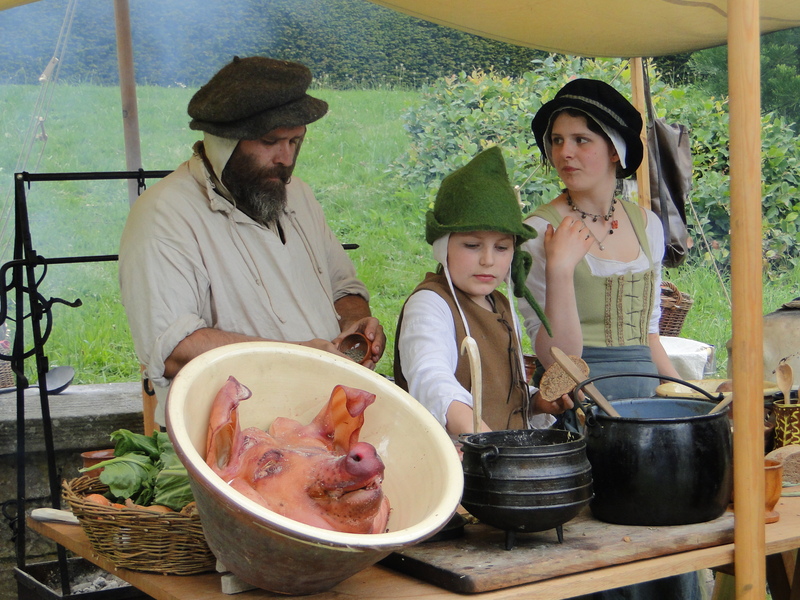 We didn’t realise when before we got there was that there was a Tudor Village set up in the grounds with a tent to get a spit-roast pork sandwich and a cider and wander round the various craft stalls manned by people dressed up in the Tudor garb. Not a good time to loose ones head! I’m Henry VIII I am, I am! Love him or hate him, you have to admit that old Henry is one of the most fascinating characters ever to grace Blighty, or anywhere else in the world, for that matter. The man is a legend! King of England for 38 years back in the early-mid 1500’s, Henry not only had six wives but he found a way to get rid of his first wife (Catherine of Aragon) after 20 or so years becuase he wanted to marry Anne Boleyn instead. 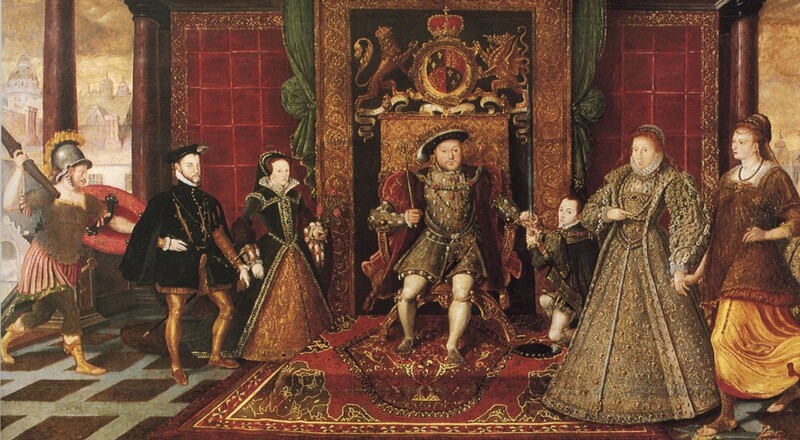 Back in the days before being able to divorce, Henry decided that the only way he could get rid of Catherine was to change religion from Catholic to Protestant and bring the whole of England along with him for the ride. Don’t like that idea? : then prepare to loose your head! After ditching Catherine he finally married Anne Boleyn but soon realised his mistake when he found that she wasn’t the sweet little lapdog he thought she was. How to get rid of Anne? Chop her head off by accusing her of sleeping with her own brother! (Oh, and chop the head of said brother off too, and why not her music teachers too for good measure?). After Anne came Jane Seymour, the love of his life, but the poor (or is that lucky?) girl died in child birth after giving birth to his only son. Then came Anne of Cleves who he divorced for being too ugly (maybe he had never looked in a mirror), Katherine Howard who was too slutty and lost her head for her pains (fancy being in love with someone her own age, and then being forced to marry the King of England and then said King finding out that she had the nerve to be in love with someone else before she met him! Tsk!) 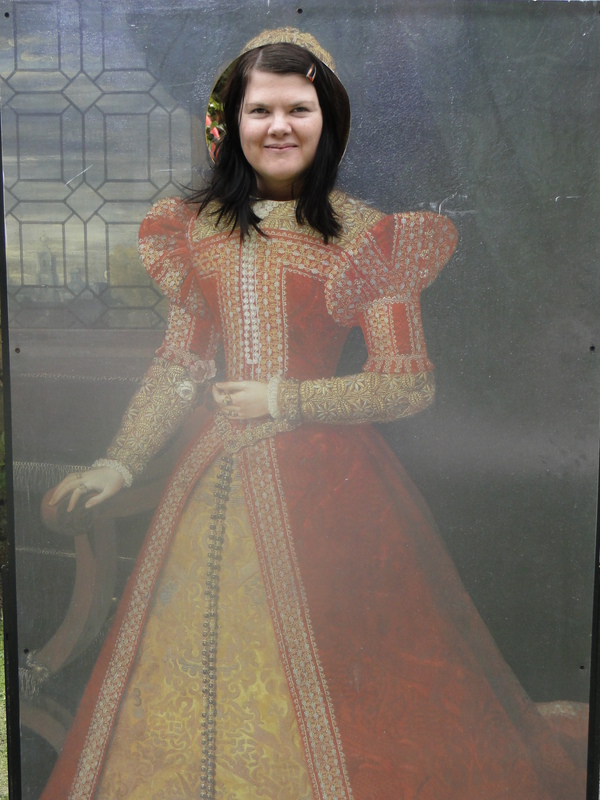 and finally Katherine Parr, who it is claimed (I hope this is true for her sake) never had to sleep with the King as he was infirm with a gangrenous leg at the time and only had to mop his brow and show up to events as his Queen. As well as his numerous wives and extra-curricular bedroom activities (he had at least 2 illegitimate children) King Henry also had a little thing for destroying monestaries up and down the UK to name but one of his hobbies. This is one of my favourite books about Henry. 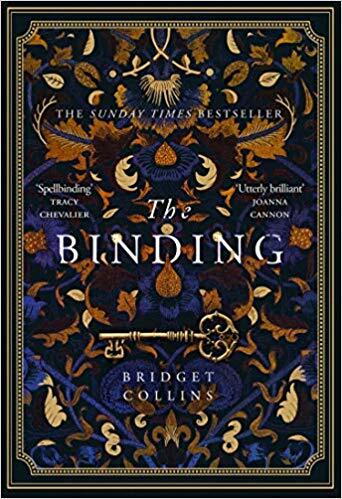 At almost 1000 pages (and pretty small print) it’s not a quick read but having said that, I was so engrossed in the story that it did take me only about 10 days to read. The story is told by his “fool” Will Sommers and charts Henry’s life from before birth to after his death. So much research and period detail has gone into this book and I have read that it took Margaret George over 10 years to write. It really is such a great book and if, like me, you haven’t read anything about the Tudors since you were at school this is a great refresher. It assumes no knowledge of those times but isn’t patronising. I never once felt lost or out of my depth; just engrossed in a page-turning book. 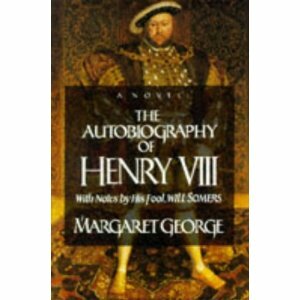 Another great book about Henry and his wives (but non-fiction) is Alison Weir’s The Six Wives of Henry VIII. Even if you’re not a fan of non-fiction, this is really readable and almost reads like fiction: really interesting too. Catherine of Aragon, Henry’s first wife, is probably my favourite of all six wives. Possibly because she was around for the longest, or that she was dgnified to the end, but also because her own background is fascinating too. Catherine (or Catalina) was the daughter of Queen Isabella of Spain and grew up in the time when the Moors were drivin the Jews out of Spain to towards Portugal and town after town was being sacked. Jean Plaidy has written a great book called Daugthers of Spain which is about Queen Isabella’s 4 daughters (and one son). It is actually third in a trilogy of books about Isabella but they all work as stand alones. This book tells the story of Catalina growing up and who was married off to whom and for what reason (it’s all about the power!). One of Catalina’s sisters, Joanna (Juana) was known as Juana La Loca as she was a little (or a lot) crazy. There is a book called The Last Queen which I really want to read that is all about her life but I haven’t got round to it yet. Perhaps one of the more overlooked Tudors: probably because not only did she only rule England for nine days, there is not as much known about her earlier life as the more prominent royals. Innocent Traitor (again by Alison Weir) is a work of fiction based upon real facts and is one of my favourite Tudor reads. There is snobbery, coruption, abuse, child neglect and ruthlessness galore inside these 400 pages. Honestly, it’s like watching an episode of Shamless but with posh people. It really is an eye-opener into the goings on of the Tudor court (and peoples attempt to get into it). I have so many more books on my bookshelf from the Tudor period that I really want to get to soon. Do you like books about the Tudors? Which ones do you recommend? Cannot recommend Maria S Lovell’s biog of Bess of Hardwick highly enough. She was a contempory of Elizabeth I and the second richest woman in England. She also started the Cavendish dynasty with her second husbond (of four) which own Chatsworth so highly appropriate for your visit. Also love love love the Shardlake series set in the 1530s by CJ Sansom. http://leedsbookclub.blogspot.com/2009/11/slowly-but-surely-shardlake-will-take.html for my review of them. I have that book at home! I actually bought it at Harwick Hall (which is another place I love). I must read it soon if you recommend it so highly. I haven’t read any of the Shardlake books yet; I’ll pop over and see your reviews. Thanks for the recommendations. I remember reading a book by Antonia Fraser with the same title as that of Weir: The Six Wives of Henry VIII (1992). I found it fascinating as I had not read anything else about Henry and his wives. The book was non-fiction. I also read The Other Boleyn Girl by Philippa Gregory, which I also enjoyed a lot, but after that, I had had my fill of the Tudors, and haven’t read anything about them since. I feel abit ‘Tudored’ out at the moment but I do want to read a non-fiction account of him at some point. 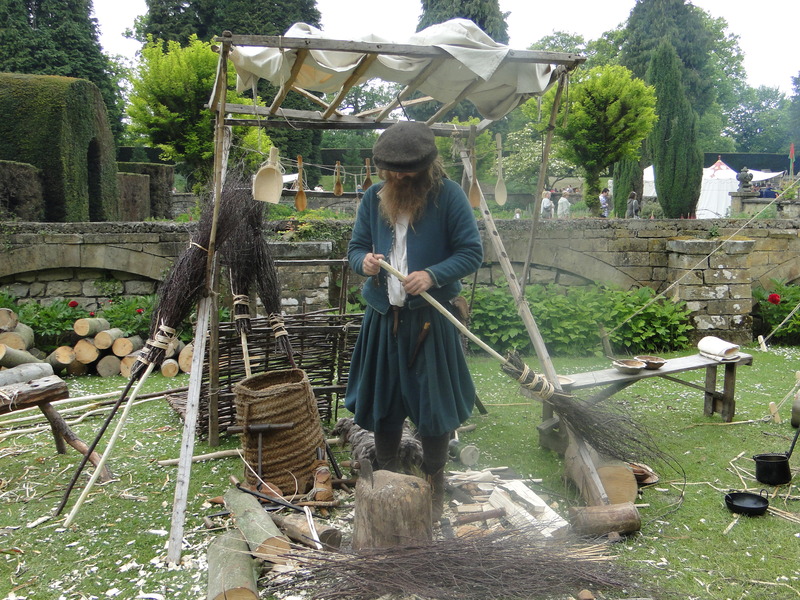 We are lucky enough to live not too far from Hever Castle home of both Anne and Anne of Cleaves which is a great day out. I’ve never been to Hever Castle, Jessica, but I do love visiting castles so I should really pop by if it’s a great day out. I read Wolf Hall not long ago-the Tudors told from the point of view of Thomas Cromwell. Well, at least as much of Henry VIII as he was alive for! I used to love the movie Lady Gray. I’d watch it every time it was on TV and cry at the fate of the doomed lovers (I was a teenager-I cried at a lot of things). Anyway, one day I watched it on the newly formed History Channel, only to be told after the movie by a historian what a load of hogwash it was-Lady Jane and her man didn’t even like each other, and may never have consummated their “marriage”? If only I had turned the channel I could still be living in ignorant bliss! Darn Hollywood! I second Heather’s comment about the movie Lady Gray, it’s a really great movie and if you haven’t seen it already you really should! It stars Cary Ewles from The Princess Bride and Helena Bonham Carter pre freaky characters era. I used to love reading about the Tudors, but I’m a bit over it now. There are so many Henry books, movies etc now. Lady Gray was really interesting to watch because I knew so little about her. I have a different one on Henry’s six wives, I think it might have the same title but it’s by, um, David Starkey or something like that, you’ve probably heard of him, renowned British historian. My mum is a big amateur history buff and has read a lot on Tudors and Napoleon era – I gave her the bio on Bess and she loved it. I actually can’t think of any Tudor books that I’ve read. Terrible isn’t it? 😉 Great list though – I love these posts of yours! I really enjoyed Philippa Gregory’s Tudor novels. I have Margaret George’s book, too (I have a few of hers), but I haven’t yet it. Since it’s your fave, I should move it up on my list! I do love this period in history! 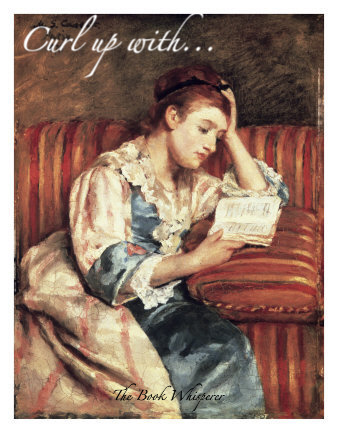 I have a few more of George’s novels too, Steph, but keep putting them off ‘cos they’re soooo long! I know I’ll enjoy them when I do pick them up though; she’s a great story-teller. I also enjoyed Antonia Fraser’s book about Henry’s wives — history that reads like fiction. I’m going to have to check out the books on your list — I haven’t visited this period in a while …..
Ooh, thanks Sue, I’ll check these out. I do have the Elizabeth one by Alison Weir and my Mum really rates that book too so maybe that one next. I wasn’t interested in history when I was younger either but now I enjoy it. I haven’t read any books about the Tudors really but The Virgin Queen’s Daughter is good and related to the Tudors. I enjoy the television show though. Looks like you had a lot of fun! Ooh, I love books about the Tudors. We didn’t study this historical period at school as ours was more focused on Irish history and then Modern European. I feel I have learned so much about Henry and co via Alison Weir and Philippa Gregory. The BBC TV series was a hoot, totally OTT but good entertainment nevertheless – well, I thought so anyway! I devoured a whole shelf of Plaidy’s books on the Tudors at school. And after that I read several historical mysteries set during that time including Firedrake’s Eye by Patricia Finney and The Tudor Mysteries by Paul Doherty writing as Michael Clynes beginning with the White Rose Murders. And of course I love the Shardlake series. Never get tired of the period. I second the David Starkey recommendation. He did an excellent book about Henry VIII’s six wives, as well as a really lovely one about the young Elizabeth I. I have always heard of Alison Weir, but the first thing I ever read by her was her book about the Princes in the Tower, and I deeply resented her for all the mean things she said about Richard III (whom I love). So I never read anything else by her after that. Thanks for the recommendation, Vivian. I have been told that this is a good one so hopefully soon…..